Mastercard and Maestro contactless spending surged 145% in 2017 and the popularity and convenience of being able to tap and go has spurred many Europeans to consider other new ways to pay. The number of European retail locations accepting contactless payments is up 42%, while 38% of all in-store transactions are now contactless. In the Netherlands, this figure is even higher, with over half of payments made via contactless technology, according to ABN AMRO. 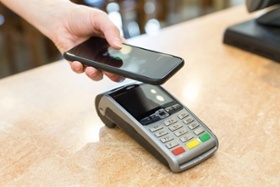 As well as enjoying the handiness of going contactless, consumers are also less concerned about potential fraud arising from using this type of payment; worries over fraud fell 24% Europe-wide, with such fears down 41% in the Netherlands, 33% in Spain and 31% in the United Kingdom.